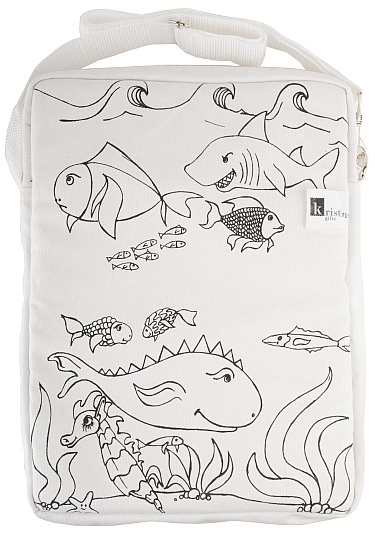 Rainbow Bags - Eureka Concepts - How good is that?! shipping info, rates, FAQ, click here. 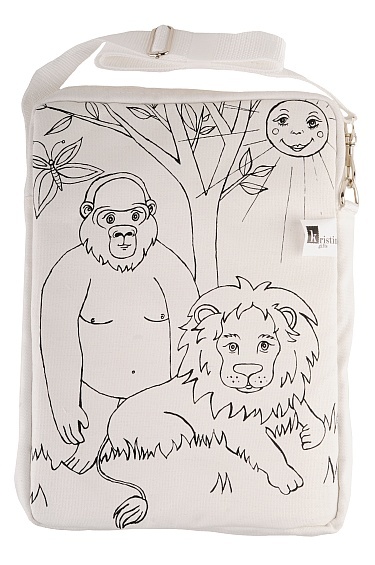 Jungle Theme Rainbow Bag. Click to enlarge image. 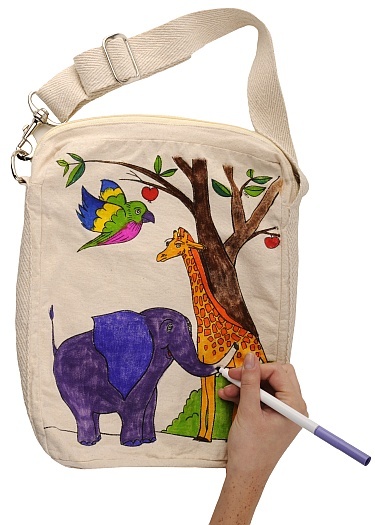 Rainbow Colouring Bag is a durable cotton shoulder bag that features wild outlined pictures for kids to colour in. simple as washing the bag and re-colouring! It’s like having a brand new bag all over again. 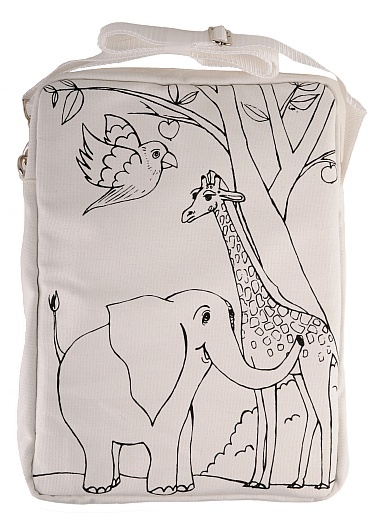 The padded bag includes a sturdy shoulder strap, perfect for kids on the go. 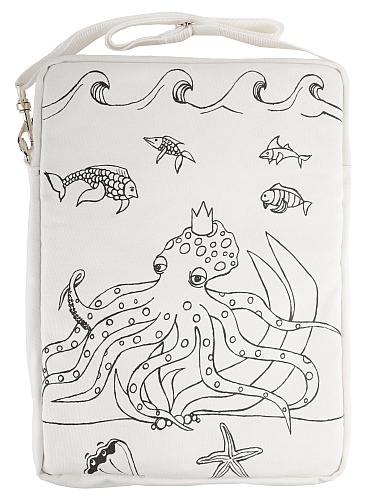 It’s also the perfect size to carry a small laptop or iPad. Rainbow Bag Jungle. Front. Click to enlarge. Rainbow Bag Jungle. Back. Click to enlarge. Rainbow Bag Ocean. Front. Click to enlarge. Rainbow Bag Ocean. Back. Click to enlarge. Rainbow Bag Jungle. Includes four pens. Rainbow Bag Ocean. Includes four pens.